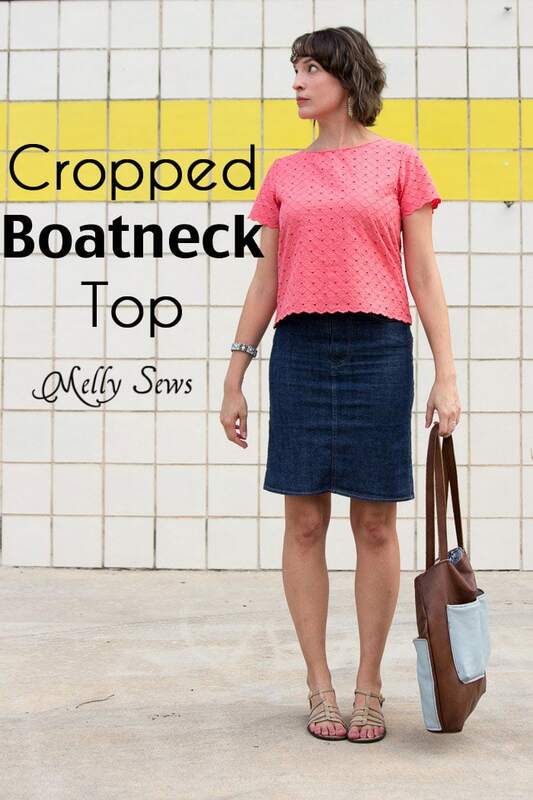 Hey y’all – since fall is STILL not here in Texas, I thought today I’d share one of my latest Shoreline Boatneck variations – a cropped eyelet version. This fabric was left over after another project, and I didn’t have quite enough to make the top full length. So instead I decided a cropped version would show off the scalloped edge on this fabric nicely. Plus – no hemming needed – BONUS! And because I know y’all like behind the scenes stories – this wall is at a local carwash. So I took these photos of myself at the car wash at a low traffic time, with the boys sitting in the car and various passers-by giving me funny looks. Anything for a good picture for y’all, though. 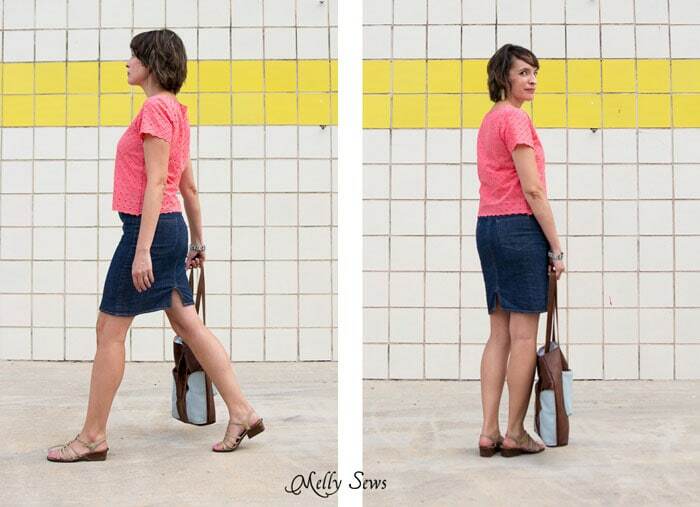 I paired the top with the denim skirt I made in this post waaaay back when I started the blog (which has been a great wardrobe staple piece for me).